Bruce Bierman originates from a combo of his mother's thick East L.A. Boyle Heights origins and his dad's St. Louis 'Bierman's Delicatessen' schmaltzy beginnings. He took his first infant dance steps to the klezmer accordion of his Uncle Dave and the Yiddish melodies of his Bubbe from Kiev. After earning a degree in theater from U.C. Santa Cruz, he went on to perform and teach with the acclaimed Aman International Folk Dance Ensemble bringing world dance to students of all ages throughout the country. Bruce is also an award winning playwright and director and recently directed and choreographed the New Yiddish Theater's production of 'The Megillah of Itzik Manger' for the Berkeley Jewish Music Festival. Bruce has studied with some of the great masters of Yiddish, Yemenite and Israeli dance and is a leading presenter of Yiddish dance and theater in the Bay Area. He currently teaches, directs and choreographs for the groundbreaking Stagebridge Theater Company in Oakland. 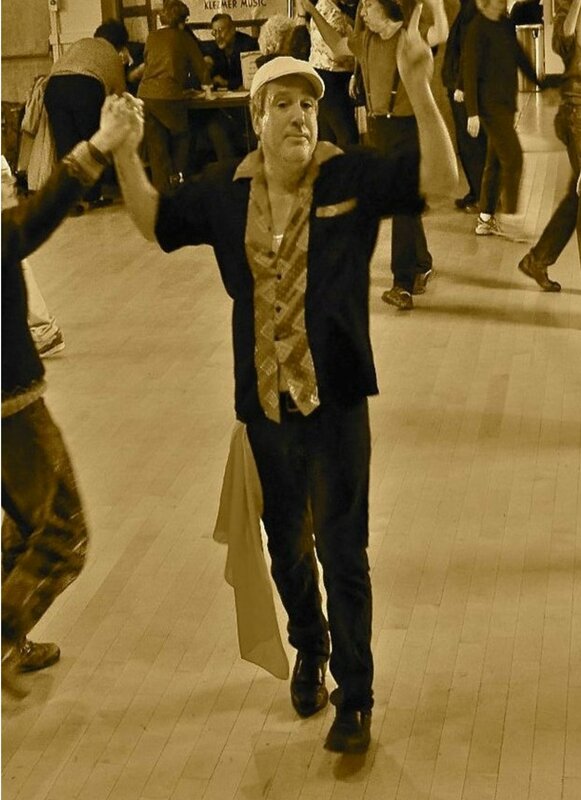 Bruce will teach three dynamic workshops on Sunday as well as leading dancing on Thursday at the special Klezmer and Knishes event at the Albuquerque Museum, leading more dancing at the Freylekher Shabes Friday evening, leading more joyous dancing at Saturday's Concert and Dance Party. It's going to be an uplifting time!